Read Veneers has just completed an extensive commission for a new West London apart-hotel in which ‘ALPI’ engineered wood veneers featured as the product of choice. The luxury 65-room newly opened apart hotel in the heart of West London will provide long stay accommodation for executives travelling into the capital from all over the world. A pristine, long lasting finish was therefore imperative for the rooms’ interiors: something timeless and elegant that would leave an irrevocable impression was called for. Read Veneers are often called upon for advice in selecting wood veneers that are appropriate for particular projects. With over 20 years’ experience we have an extensive understanding of what works best and in particular settings, and we also have in-depth knowledge of what is available as well as access to a vast range of veneer options. For this particular commission, we selected ALPI engineered veneers. ALPI is an Italian range of alternative veneers. A thinly sliced architectural wood veneer, it is made from fast growing trees in agricultural plantations and sustainable forests. Using thinly sliced wood from quick growing trees not only makes the cycle of production of ALPI veneers a fast and efficient one, it also guarantees a consistent colour, grain and finish too. Perfect for this project. 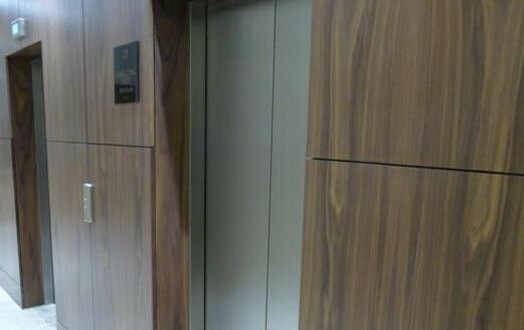 Bespoke veneered fire doors from Read Veneers are fully health and safety and fire regulation compliant but that does not affect the visual appearance. To ensure the doors fitted the hotel’s specifications perfectly the client made the most of our made-to-order service which involves manufacturing to any size and thickness required with overhead panels and frames made to match. These veneered panels were produced for the hotel’s furniture maker and were used for interior features such as wardrobes and headboards. All were perfectly matched to create a striking and consistent interior throughout the hotel’s guest rooms. To ensure longevity of the wood veneer panels and to prevent sun damage over time the veneered panels were coated with a UV-protective lacquer to counteract fading. This extensive project was fulfilled on schedule and within budget. The results were visually stunning and the hotel and its furniture maker delighted with the finish and overall service. For more information on our made-to-order bespoke veneered fire doors and ALPI engineered veneers, please get in touch.